Julia is a respected practitioner in the fields of family, immigration and human rights law. She specializes in children law and is one of few barristers whose expertise covers these three disciplines. Julia is known for her approachability, thoroughness of her preparation and her court skills. She has significant expertise in care proceedings particularly those where there is an international and/or immigration issues. Recently Julia has been instructed in matters which concern the transfer of care proceedings under the provisions of Brussells II Revised and also the repatriation of children to relatives outside the European Union. Julia is also an established practitioner in the areas of child abduction and removal of children from the jurisdiction. Having a background in working with adults with either mental health and/or learning disabilities, Julia has retained a strong interest in representing such vulnerable clients at court. 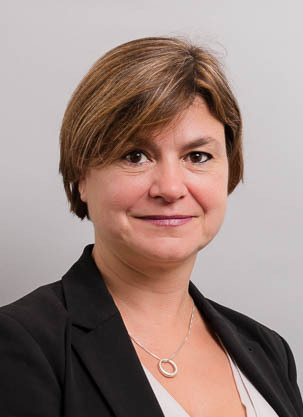 Julia is currently instructed in a case where she has successfully argued that the use of an intermediary for her client is essential in order to ensure that she has a fair trial. Julia also practices across the whole breadth of immigration law, again having a particular and successful practice in representing children. Julia is regularly instructed to provide expert advice on immigration issues in family proceedings and vice versa. She is also regularly instructed in matters of Forced Marriage and associated allegations of honest based violence. The Judge made a Special Guardianship Order without there being a DBS check on the proposed special guardian. The maternal grandfather in the matter was a diplomat of a High Commission. The father’s case for contact was dismissed has he had failed to attend a fact finding hearing. The matter concerned a mother with a learning disability and the Judge considered that it was reasonable for her to have an extended period of assessment. The Judge at first instance had ruled that the mother should return both children to Canada where they were habitually resident. One Pump Court's Julia Gasparro has co-written the tenth edition of the Immigration Law Handbook.